If you drive a motor vehicle in the United States, it is compulsory in most states to carry insurance. Auto insurance is one of the “big wins, ” where a little effort provides a big payoff, not just once, but again and again. 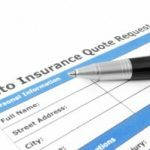 There are several well-known ways to save on auto insurance ranging from keeping a clean driving record to shopping around. One way that doesn’t get enough attention but has a big influence on how much premium you pay is the credit-based insurance score. Ninety-five percent of auto insurers now use a credit-based insurance score as part of their underwriting process (where permitted by law). Hence, in order to get the best rates, it is essential to know what this score is, how it is used, and how to maintain a good score. What is a credit-based insurance score and how is it used? A credit-based insurance score, or simply insurance score, is a snapshot of a consumer’s insurance risk profile at a particular point in time, derived from the information in their credit report. 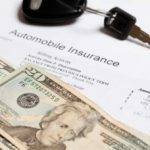 This score, along with driving history, claim history and other information in the application is used to evaluate auto and homeowner insurance policies and determine the premium the consumer will pay to obtain the policy. How does it differ from my regular credit score? Credit-based insurance scores are simply a derivative of traditional credit scores. Both are derived from the same credit report but predict different things. The regular credit score is used to determine the how likely you are to repay a loan. A credit-based insurance score, on the other hand, is used to evaluate how you manage your risk exposure. Why does my insurance company care about my credit? Can’t they just look at my driving history? Just like traditional credit scores, credit-based insurance scores take five general areas of information into consideration — length of credit history (15 percent), pursuit of new credit (10 percent), credit mix (5 percent), payment history (40 percent) and outstanding debt (30 percent). Each of these has sub-categories that increase or decrease the score. In the following section, (-) indicates that high values typically lead to a riskier score, and the converse holds for (+). What if I am turned down for insurance or my rate increases? If you think your insurer rejected an insurance policy or increased your rate based on your credit-based score, the federal Fair Credit Reporting Act (FCRA) requires that the insurer tell you, and give you the name of the credit reporting agency that provided the information. In these situations, you are entitled, by law, to receive a free copy of your credit report to review and understand what might have caused the low score. If you see any errors in the report, you can challenge the errors with the credit reporting agency. Can I opt out of it? (1) Shop around — Each insurance company has different ways of determining their risks and calculating your premium. (2) Talk to the underwriter — Computers may spit out a risk profile for you but, at the end of the day, it is a person who is underwriting your policy. Call the insurance company and talk to them about the reasons you may have a low credit score. Provide them with extra documentation, if needed, to strengthen your case. (3) Work on improving your score. You can improve your score by using credit responsibly. 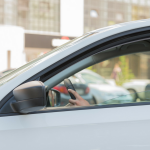 A credit-based insurance score depends a lot on payment history (more than a traditional credit score), with the reasoning that if you are careless with your payments, you are more likely to be careless in your driving habits as well. So make sure you pay all your bills on time. You can also keep balances low on unsecured revolving debt like credit cards. The Fair and Accurate Credit Transaction Act of 2003 (FACT Act) allows consumers to obtain a free credit report once every 12 months from each of the three nationwide consumer credit reporting companies (Equifax, Experian and TransUnion). Make use of it and get your credit report every four months; review the report and keep it error-free. Have you given any thought to your credit-based insurance score? Have you done anything specific to improve or maintain your insurance score? Have you ever faced any negative consequences (higher premium, rejection) that you believe were due to your credit history? Thanks for the tips! I’m looking for car insurance. This is my first time owning a car and getting insurance, so it helps to know more about insurance quotes. I understand why my credit score is used to calculate the insurance rate I would get. What if I don’t have any credit because I’ve never had to take out a loan? I would like to know how I can build my credit score without taking out any loans to increase my score. Didn’t know there’s such thing as credit-based insurance score until reading your post. This proves further that having a good credit score really save us money.